Even when I have little money, a new hardback book on bees is tempting, especially when it has as extensive a bibliography as A World Without Bees. To some extent, I had been waiting for a book like this to be written. A lot of people ask me if the bees are in danger and I say, “Yeah, that’s what I keep hearing,” but to what extent I did not know. This book elucidated the extent of the horror quite well. 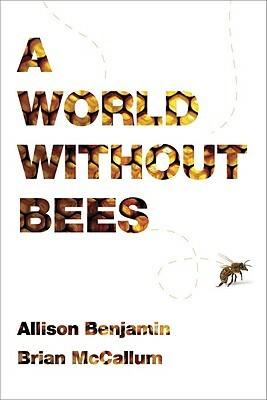 But first, let’s cite some examples from the book of how incredible bees are: 1.2 million hives are driven into California each spring to pollinate almonds. Each acre of orchard is given two hives or about 80,000 bees. Just estimating, the bees of each hive will have to make an average of 45,000 trips a day just to acquire enough pollen and nectar to raise its young and survive the winter. 30 years ago, an acre of orchard would produce 500 lbs of almonds. Today, with bees brought in for pollination service, that same acre will produce 3000 lbs of almonds. So consider now how dependent we are on bees, not just individually but on the scale of our culture and civilization, when around 70% of the food we eat is dependent upon insect pollination, and for our needs, honeybees do it best. So now consider this statistic: during 2007 and 2008, over one third of all honeybees disappeared. 800,000 losses in 2007, and a million in 2008, all due to what has been called “Colony Collapse Disorder” or CCD, for short. What is causing it? No one knows. Let me repeat that; no one knows. Culprits? 1) The stress of agri-industrial beekeeping, in which bees are shipped from Maine to Florida to California to Montana on the backs of trucks. Honeybee pests and diseases have been known to spread more rapidly because of this practice, and many if not all migratory beekeepers supplement their diet with sugar-water and substitute pollen to increase colony sizes in late winter. 2) A narrowing gene pool, in which the new colonies created by bee-breeders are drawing from limited stock and diversity to respond to new stresses in the environment. 3) Varroa Mites, new strains of familiar viruses, fungi, beetles, and potentially viruses mutating to cooperate with mites. 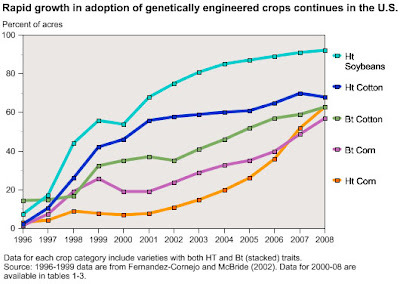 And 4) Pesticides, GMOs, and monoculture. A bee slurps nectar from a flower whose DNA has a fragment of shellfish DNA in it… is that okay? Unfortunately, all research to date has been inconclusive because scientists can not isolate which problem for bees is causing the major problem for bees. It’s either a perfect storm of all conditions, or something has changed. If you don’t read this book, please start paying attention. This is a really big deal.